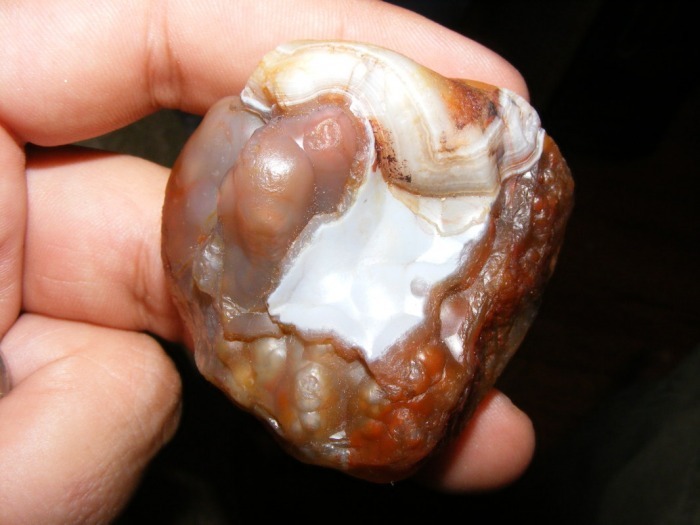 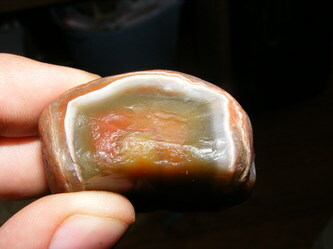 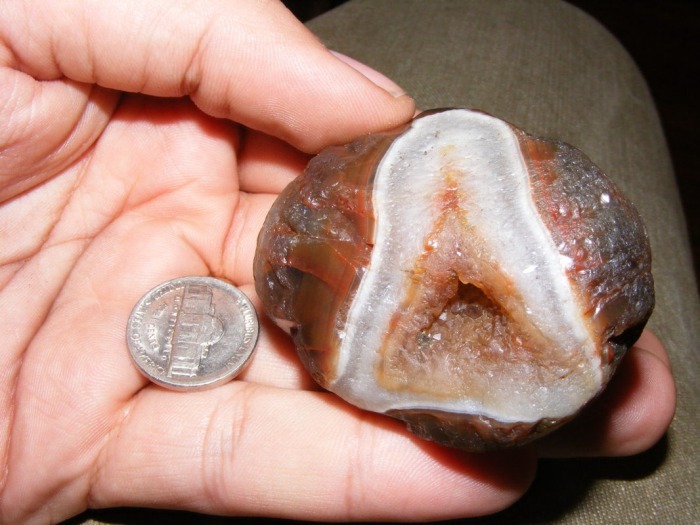 Lake Superior Agates are found across parts of northern Michigan, Wisconsin, and Minnesota. These agates were carried by glaciers far from where they originally formed in the volcanic deposits of the Northern Midwest. 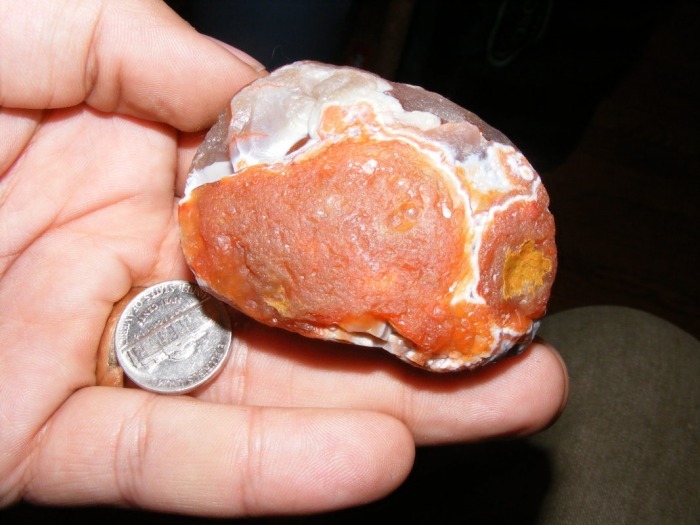 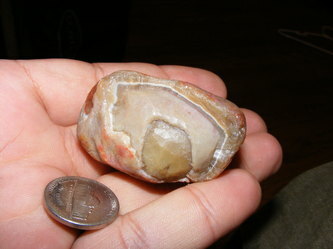 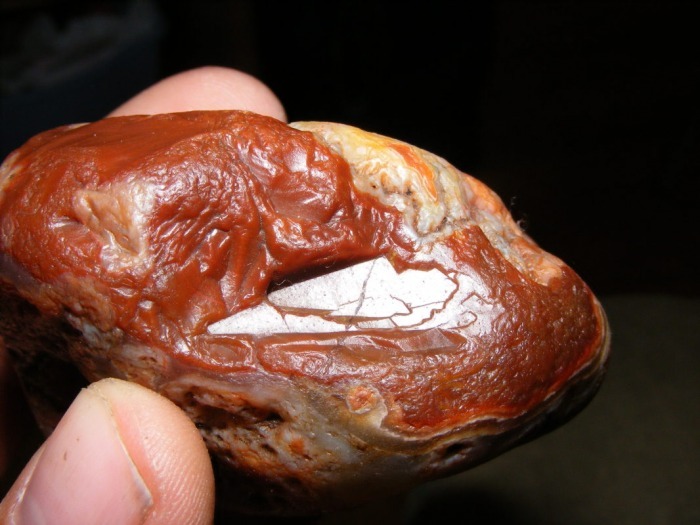 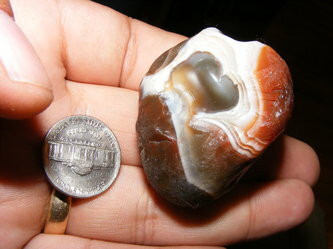 Usually lake superior agates tend to be small, with anything over a pound being quite exceptional. 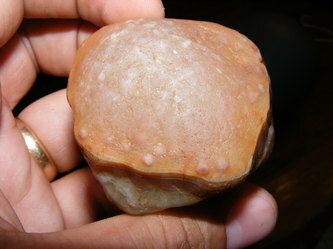 'Lakers', as they are sometimes called, exhibit a variety of traces of their glacial past, including peeling, water and wind polishing. 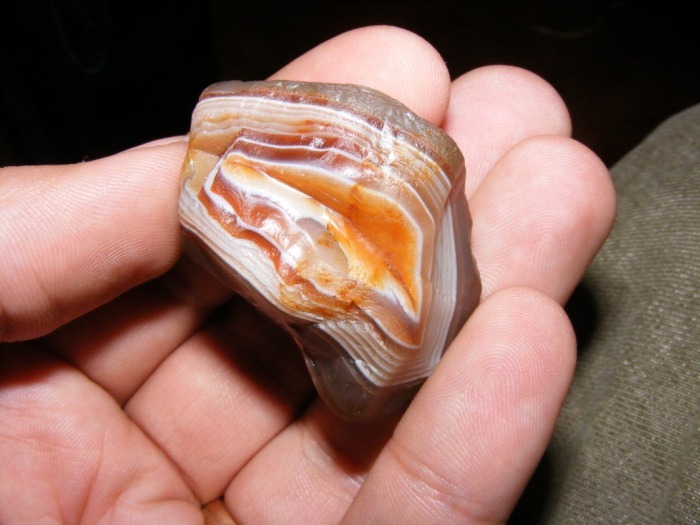 The most desirable have tight banding with vibrant colors and naturally weathered features. This fabulous, huge laker has a great peeled face with striking red, white, and black banding. 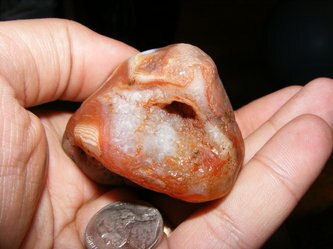 No quartz, lovely yellow limonite on the rind. It just doesn't get any better than this! 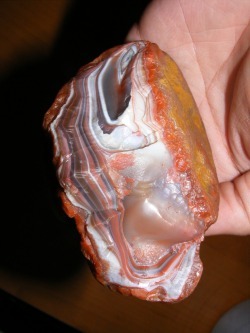 This is a classic 'candy striper', with great red and white banding. 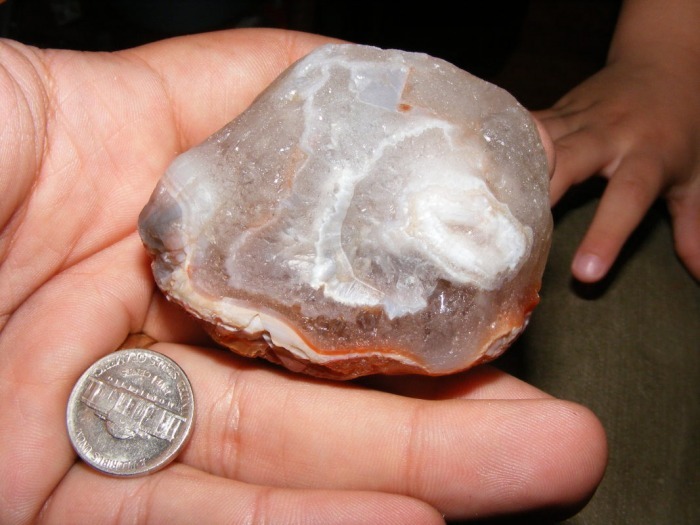 A few patches of yellow limonite is all that remains of the ride on this natural, glaciated beauty. This massive laker has a deep pocket with some nice iron-stained citrine crystals. Some nice fortification and neat floating bands on this one. 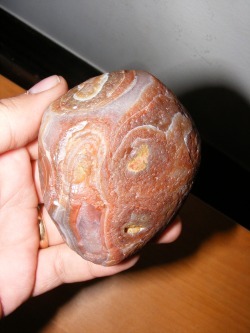 This collection of unique Lakers was hand-picked by me from many dozens of Lake Superior agates. 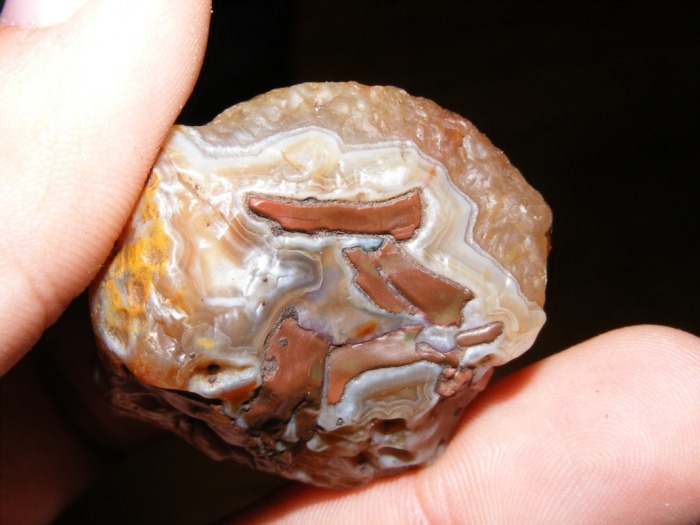 These are all selected for their unique characteristics, and together they represent a comrehensive sampling of what Lake Superior agates have to offer; Citrine geodes, crystal impressions, peeling, water-level agates, tubes, floating bands, hurricane banding, and much more! Individual stones range from $70-150, or contact us for a discounted price on the entire collection.